Connection’s Matthew Woo Ling off to European stints. Re: W Connection youngster Woo Ling invited back to Spurs. From what I recall, mainland Europe has a more relaxed immigration policy than UK. For instance, Arsenal use a Belgium club to place players from Belgian colonies in Africa such as Congo. Once the player joins the Belgian club at 16, by the time he's 18 he can get a Belgian passport, and is therefore a EU citizen and can move on to Arsenal. Those who don't make the grade are sold or released. Some research may be needed to confirm this, but I believe Spain recognise T&T as a former colony. If this is so, English clubs could place T&T players in Spain and after 2 years bring them to UK. I have looked into this, but there are some problems. The major one is with the players who want to stay in college football until 18/19 and are then too old. The second is that there appears not to be enough talent in T&T for UK clubs to invest in this (they would be paying all the costs to the Spanish club). Glen Hoddle has a nice academy in Spain with Graham Rix, and Spurs would be a natural fit, but they can invest their money in other countries where there are more numerous talented youngsters. However, if we can get 4 or 5 players out, then European clubs may change their minds. Re: Connection’s Matthew Woo Ling off to European stints. Matthew Woo Ling and Qian Grosvenor are on trial at Belgian Pro League club, Sint-Truidense V.V.. They are currently affiliated with Phoenix All Stars Football Academy from Jamaica. Wah go on dey Tallman. How dey end up in Yard? Anything back from these trials yet? Former national youth midfielder Matthew Woo Ling is reportedly training with Belgian Pro League club, KRC Genk. Good luck to the youth! Yes! Wishing you all the best. Show them what you can do.Read the game, runs off the ball, create, thread the needle, fitness, positive attitude. All the best youth man. Any updates on this kid? Was thinking of him just this week. Hope they keep him in the mix. Fellas like him should be training with an A team or U 23 team in the summer. Which U-23? TT has a U-23? After a clutch victory over conference rivals Marshalltown CC on Sunday and a dominant performance over Hawkeye CC on Tuesday, the Reivers earn a share of the ICCAC conference title. Matthew Woo Ling, ICCAC Player of the Week, scored the game winner versus Marshalltown and Hawkeye. The freshman midfielder from Trinidad and Tobago has been an instrumental part of the Reivers offense and defense the past three games. Also, left wing back Joseph Connolly has combined with his teammates on seven different occasions, leading the team with seven assists. The Reivers are now tied for the second longest shutout streak in program history with seven consecutive shutouts. Their stingy defense has allowed eight goals on the season and is fifth in the nation with a 0.60 goals against average. Goalkeepers Jan Hoffelner and Yuichiro Hayami have each contributed to the fantastic defensive performances. The Region XI playoffs begin on Saturday, October 28th where No. 3 Marshalltown Community College host No. 6 Northeast Community College in Marshalltown, IA and No. 4 Iowa Central Community College hosts No. 5 North Iowa Area Community College in Fort Dodge, IA. The winner of the Marshalltown and Northeast game will travel to Council Bluffs play No. 2 Iowa Western and the winner of the Iowa Central and NIACC game will travel to Ottumwa, IA to play No. 1 Indian Hills. The Region XI championship game will be played on Saturday, November 4th in Des Moines, IA at the James W. Cownie Sports Complex. All Region XI postseason information can be found at www.iccac.org. Good going youth. But fellahs, I had to take a second read on this. What is a "Reiver". "Reivers" rhyme with "reefers". 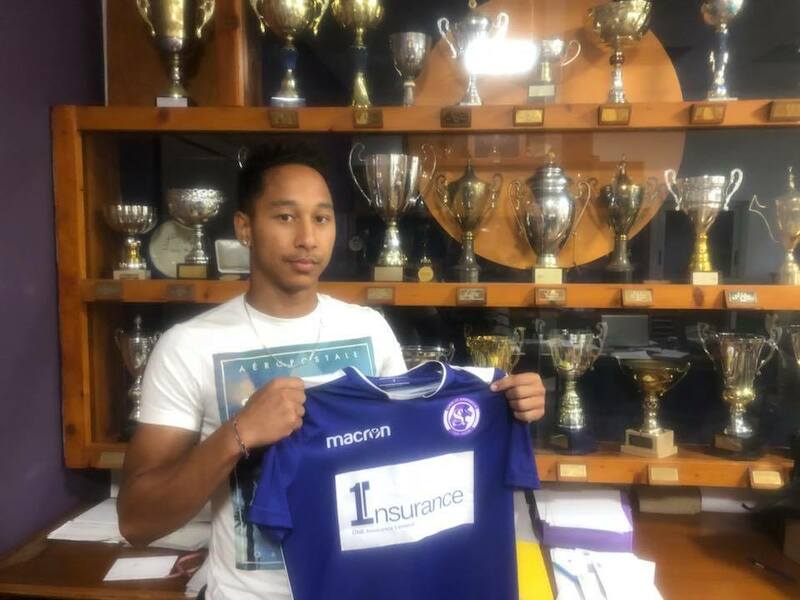 Midfielder Matthew Woo Ling has joined Maltese Premier League club, St. Andrews FC. I watched the playoff game for his school last year and he was just light years above any player on that field if T&T keep hiring coach's like S Hart, D Lawrence , Shabazz and the A Corneal T&T technically better players like S Da Silva ,M W Ling would not get a chance for T&T. about midnight last night my mind fell on him, I googled him to see if there was anything, There wasn't and I come here a few hours later and see this.. I have been looking at the coach's in T&T for over 25 years now I don't need to see anymore from them the verdict has been read along time ago on these guys. So what that mean? He leave school? Always felt he was overrated. He never even dominated SSFL. The videos that were floating around highlighting his skills were basically him making some basic passes with a good soundtrack against poor opposition. Woo Ling was simply a decent player. I found a game on youtube were his team loss 5-1 this is a team that is always fighting off relegation he seems to be playing in front of the defense the 1 that try's to break up plays and start the attack he looks good in spurts but inconsistent at times he has to step up to the speed of the game the stuff that he was able to do against collage players these season pro's are not giving him the time to do it I am sure in a couple more games he will step up to the speed of the game. It's not ideal but it's a positive step for him. Being in Europe means he's more likely to get scouted by other European teams for one thing - they generally pay better than the MLS. If he can prove one of the better players in the league and secure a move to one of the better teams in Malta, he will have a shot at European competitions too. The President is Jamaican and there's a whole bunch of them already there btw, interesting team, especially given the president recently argued against the 11 foreign player rule (saying it should be less). M W Ling is improving he had his best game as a professional footballer he scored his 1st goal as a professional and he hit the cross bar twice from free kicks I think he deserve a chance to play on NT. That is your criteria for national selection?